As a leader in educational media for children and students and a key partner with parents and educators across Oklahoma, the Oklahoma Educational Television Authority, in conjunction with PBS, is dedicating a special week of primetime programming for Spotlight Education September 12-17, examining the challenges facing today’s students and America’s education system. 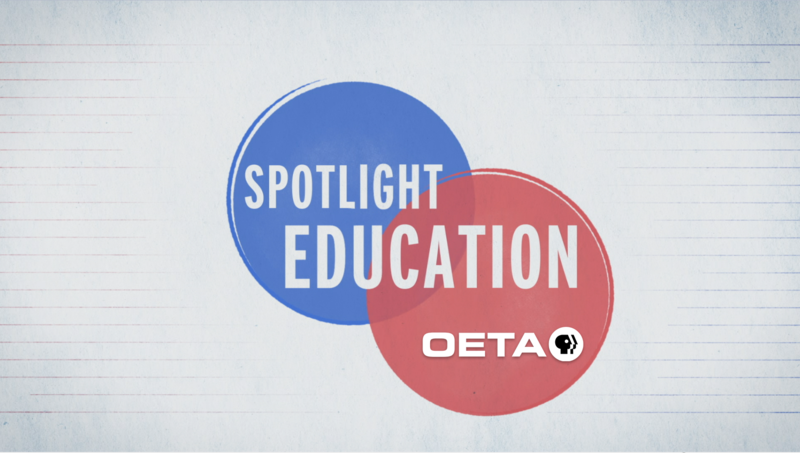 Spotlight Education airs weeknights on OETA-HD and includes special episodes of NOVA and Frontline, films from Independent Lens and POV and a new TED Talks. Spotlight Education also kicks-off of a year-long teacher support campaign—“Teach Boldly”—led by PBS and its local member stations across the country. The “Teach Boldly” teacher appreciation initiative includes a series of virtual and community training events and the launch of the new PBS Teachers’ Lounge, a creative digital space where teachers can share ideas, learn from peers, find daily inspiration and access the tools and resources they need to enhance their work in the classroom. This special week of primetime programming features reports from today’s classrooms, examining how creativity and dedication to teaching all children, even the most challenging or at-risk students, are making a real difference in communities. This special week of primetime programs underscores public media’s dedication to learning and the critical importance of convening a dialogue around education. Spotlight Education is funded in part by the Corporation for Public Broadcasting (CPB) as part of American Graduate: Let’s Make it Happen, a long-term public media initiative to help all students graduate from high school ready for college and careers. Short-form and full episodes from the week, interactive content modules and a social hub for Spotlight Education will be available on PBS.org. For updates on the programming, follow #SpotlightEduPBS on Twitter. As America’s largest classroom, PBS also offers digital content and services for teachers of children from pre-kindergarten through 12th grade that help bring classroom lessons to life. PBS LearningMedia, a partnership of PBS and WGBH Educational Foundation, is a free and paid media-on-demand service offering educators access to the best of public media and delivers research-based, classroom-ready digital learning experiences to engage students in exploring curriculum concepts that align with National and Common Core State Standards. Nationwide, more than 1.8 million teachers and users have registered access to more than 120,000 digital resources available through PBS LearningMedia.